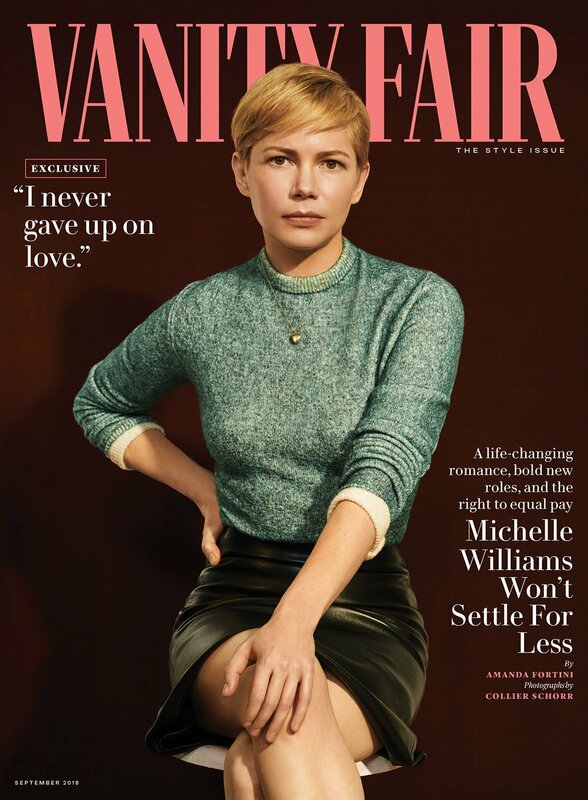 Click here to view last year’s cover with Oprah Winfrey, Nicole Kidman, Reese Witherspoon and Tom Hanks, here to view 2017 cover featuring Lupita Nyong’o, Emma Stone, Amy Adams, Natalie Portman, Ruth Negga, Dakota Fanning, Elle Fanning, Dakota Johnson, Aja Naomi King, Dakota Johnson, Greta Gerwig and Janelle Monáe, here to view 2016 cover featuring Charlotte Rampling, Rachel Weisz, Brie Larson, Lupita Nyong’o, Alicia Vikander, Gugu Mbatha-Raw, Helen Mirren, Saoirse Ronan and Diane Keaton, here to view 2015 cover featuring Amy Adams, Channing Tatum and Reese Witherspoon, here to view 2014 cover featuring Chiwetel Ejiofor, Julia Roberts, Idris Elba and George Clooney. Click here to view 2013 cover featuring Ben Affleck, Emma Stone and Bradley Cooper, here to view 2012 cover featuring Rooney Mara, Jennifer Lawrence, Jessica Chastain and Mia Wasikowka. Click here to view last year cover featuring Emily Blunt, here to view 2017 cover featuring Chris Pratt, here to view 2016 cover featuring Megyn Kelly, here to view 2015 cover featuring Rosamund Pike, here to view 2014 cover featuring Alessandra Ambrosio, Jimmy Fallon and Doutzen Kroes, here to view 2013 cover featuring Jennifer Lawrence, here to view last year cover featuring Lady Gaga, here for 2011 cover with Johnny Depp, and here for 2010 cover with Meryl Streep. Click here to view last year cover featuring Jennifer Lopez and Alex Rodriguez, here to view 2016 cover featuring Jennifer Lawrence, here to view 2015 cover featuring Bill Murray, here to view 2014 cover featuring Angelina Jolie, here to view 2013 cover featuring Nicole Kidman, here to view 2012 cover featuring Kate Moss, here to view 2011 cover featuring Scarlett Johansson, here for 2010 cover with Cher, and here for 2009 cover with Robert Pattinson. Click the links to view last year covers featuring Kate McKinnnon and Meghan Markle, here to view 2016 cover featuring Bruce Springsteen, here to view 2015 cover featuring Mark Zuckerberg, here to view 2014 cover featuring Robert Downey Jr., here to view 2013 cover featuring Kate Upton, here to view 2012 cover featuring Katie Holmes, here to view 2011 cover featuring Angelina Jolie, here for 2010 cover with Lindsay Lohan, and here for 2009 cover with Jacqueline Kennedy. Click here to view last year cover featuring Angelina Jolie, here to view 2016 cover featuring Alicia Vikander, here to view 2015 cover featuring Taylor Swift, here to view 2014 cover featuring Natalia Vodianova, here to view 2013 cover featuring Princess Diana, here to view 2012 covers featuring Jessica Chastain and Kate Middleton, here to view 2011 cover featuring Jennifer Lopez, here for 2010 cover with Lady Gaga and here for 2009 covers with Michael Jackson and Farah Fawcett. Click here to view last year cover featuring Serena Williams, here to view 2016 cover featuring Margot Robbie, here to view 2015 cover featuring Channing Tatum, here to view 2014 cover featuring The Royal Family, here to view 2013 cover featuring Kerry Washington, here to view 2012 cover featuring Alec Baldwin and Anne Vyalitsyna, here to view last year August cover featuring Emma Stone, here for 2010 cover with Angelina Jolie and here for 2009 cover with Heath Ledger.